When it comes to trademarks, the first question a lot of people often ask is: “Am I required to get a U.S. trademark registration for my mark?” The quick answer is no, but it will enhance your rights. Using your trademark with specific goods and services establishes legal rights in the mark, known as “common-law” rights. Those common-law rights, however, may be limited. Depending on your situation, those rights might only cover a limited geographic area and it might be more difficult to enforce those rights than it would be if you have a federal trademark registration. One, it gives you a legal presumption of the exclusive right to use your mark nationwide on or in connection with the goods and services identified in your registration. That’s in contrast to a state trademark registration that only gives rights within the borders of that particular state. Federal registration will give you a presumption of rights throughout the United States and its territories. Two, it creates a legal presumption that you are the owner of the mark. That’s a real advantage if you need to enforce your registration either in or out of court. However, be aware that even with that legal presumption of ownership, someone else could prove that they are the rightful owner because they started using the mark before you This means a possibility exists that you might have to stop using your mark. Three, it puts the public on notice that you are the owner of the mark. If there’s a question as to who owns the mark, it can be looked up in the US trademark office’s online database. And that’s the fourth benefit. Being listed in the trademark office’s database means that others considering potential marks can find your mark when they search the trademark office database to see if their mark is available. The existence of your mark in the database can help others to avoid selecting a mark that is too similar to yours. In addition, the trademark office relies on the same database for its own search and will find your mark when examining someone else’s application. 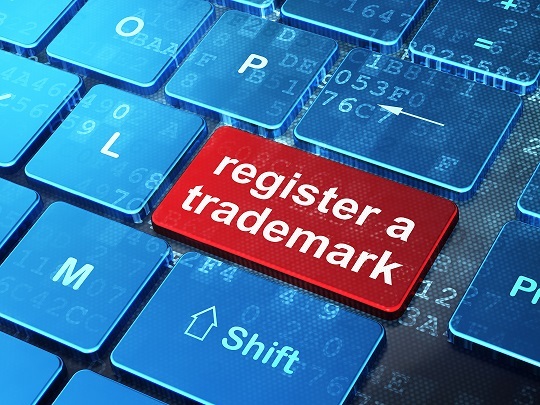 The trademark office will cite your registration against a confusingly similar mark in a later-filed application, preventing a potentially conflicting trademark from registering. But remember, the trademark office only searches the trademark office’s database of pending and federally registered marks. It does not search for state registrations. And it also does not search for marks that are not federally registered. Owners of unregistered marks may have superior common-law rights. Five, a US trademark registration gives you the ability to record your trademark with U.S. Customs and Border Protection. That agency will use your trademark registration to help prevent importation of infringing or counterfeit foreign goods. Six, you have the right to bring legal action concerning the registered mark in federal court. It is your legal responsibility to police your trademark and to protect it from infringement. Only you (or your attorney) may bring legal action against others infringing your mark. Seven, you have the ability to use your US trademark registration as a basis for applying for a trademark registration in many foreign countries. It’s a great benefit when your business takes off and you become a global phenomenon. And, eight, a U.S. trademark registration means that you have the right to use the coveted “R in the circle” symbol with your mark, something you cannot do unless your mark is federally registered. That symbol is typically placed on the right side of a mark and indicates that you have federally registered your trademark with the United States Patent and Trademark Office. It puts the public on notice that your mark is registered and that you have nationwide rights in it.